Four European nationalist parties have gathered in Milan with the aim of forging a parliamentary group after next month's European parliamentary elections and expanding their influence over the way the bloc is governed. Representatives from parties in Germany, Denmark and Finland gathered at the invitation of Italian deputy prime minister and interior minister Matteo Salvini, who is also leader of Italy's right-wing League party. The gathering was part of plans to form a group occupying 70 to 80 seats of the 751-member European Parliament after elections on 26 May, thereby having real influence over the governance of the bloc for the first time. “Our goal is to be decisive, to nominate new commissioners in the new commission,” Salvini said, referring to the powerful European Commission that oversees EU policy-making. 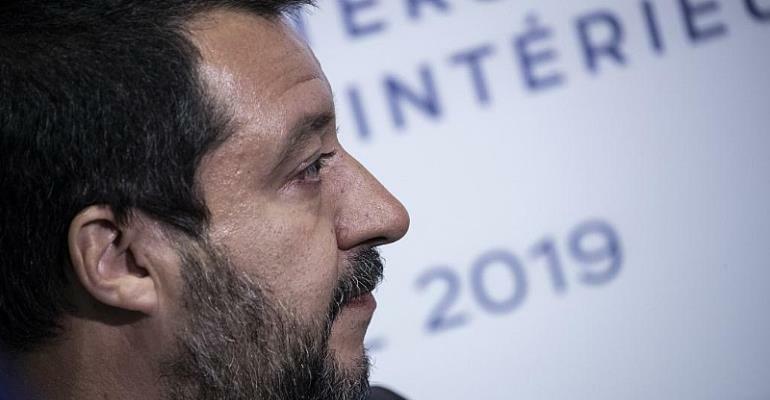 Salvini railed against the usual targets of EU populist discourse, including bureaucrats, bankers and “the alliance between Christian democrats and socialists” that he says have ruled Brussels for decades. The confirmed attendees were the far-right Alternative for Germany party (AfD), along with nationalists the Danish People's Party and the Finns Party. Notably absent from the meeting was Marine Le Pen, leader of France's far-right National Rally party (RN), whom Salvini met in Paris on Friday amid questions over the potential new bloc's leadership. Salvini assured his call for unity had the blessing of “all the political movements” of his parliamentary group, which includes the RN, and Le Pen is expected to attend a rally of European populists planned for 18 May in Milan. The four parties' ambitions – which include forming a group with at least six other parties – would involve the unravelling of a complex web of alliances currently spread across three parliamentary groups. Hungary's Fidesz, headed by Prime Minister Viktor Orban, is part of the EPP alliance of centre-right parties, and has not indicated the extent of its involvement. While the parties in question take similar perspectives of antagonism towards the EU, Islam, multiculturalism and the left, ideological differences are more pronounced on the economic and diplomatic fronts. The AfD and its Nordic allies tend to favour free market policies, while the RN has called for a more protectionist approach. Salvini and Le Pen have praised Russian President Vladimir Putin, a view not shared by the Law and Justice party in Poland or the Finns Party. And while parties in Italy, Poland and Hungary highlight Europe's Christian cultural roots, France's RN has shied away from a similar stance in a country with a deep secular tradition. Salvini admitted the various movements had differences, but met on questions of identity and tradition. “If you let our opponents divide us, you will see more Brussels, less security, and the multiculturalism and the identity of Europe's policies taking over the national identities of the 27 European countries,” Vistisen said.